The chapter introduces QSE, the Qualitative Service Elicitation method. It applies qualitative research procedures in service elicitation. Service engineering practice lacks lightweight methods to identify service candidates in projects with tight schedules. The QSE provides a systematic method to analyze requirement material in service-oriented systems development with feasible effort by utilizing the procedures of the grounded theory research method to elicit service candidates from business process descriptions and business use case descriptions. 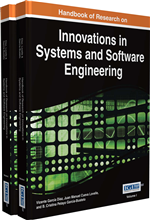 The chapter describes the method with examples and a case study. Papazoglou et al. (2006) have listed the main challenges of the service-oriented engineering domain in their research roadmap. Novel approaches are required in service engineering to match the rate and pace of the business. Also the survey of Razavian et al (2011) suggests that the current service engineering practices fit poorly to the SOA migration challenges enterprises have and there is a need for successful yet cost-efficient approaches to elicit both the To-Be state as well as sufficient knowledge of the legacy applications. The QSE approach addresses some of the challenges and provides practical means to build an enterprise level service catalogue only to the level of detail needed to be used in gap analysis. Additionally, the catalogue provides a ground for refining the right granularity of the services. The method itself does not provide automation in the analysis, but provides systematic procedures for the analysis, thus helping to reduce human errors. To enable systematic analysis, we have taken ingredients from research methodology literature. We believe service elicitation resembles by nature qualitative research. Service Provider: The service provider is an application that executes requests from service consumers according to the service interface. A service provider can also be a service consumer. Messaging Service: Purpose of messaging service is to encapsulate the logic needed in business conversations to bind public and private processes together. Integration Use Case: An integration use case represents the abstract service interface between service provider(s) and service consumer(s). If an enterprise service bus (ESB), a messaging queue or other middleware system is used in the system integration, then the integration use case describes also the role and actions of the middleware between the systems. Service Consumer: The service consumer is an application, service, or some other type of software component that requires the functionality of the service. The service consumer executes the service by sending it a request according to the service interface. Process Driven Services: Purpose of process driven service is to automate one or more activities of one or more business processes. Core Category: Core categories represent the essential business elements of the enterprise. The pre-defined core categories represent typical elements of an enterprise. Data Driven Service: Purpose of data driven service is to encapsulate and store business data.